Support multiple power supplies paralleling in Master-Slave mode and ensures each power supply equally shares the load current. 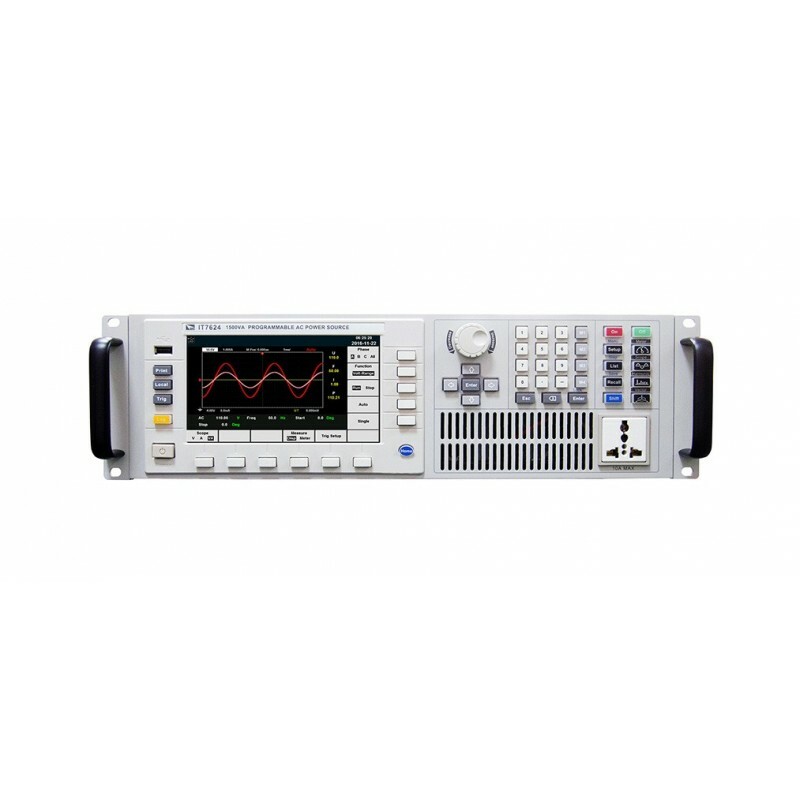 IT7600 series high performance programmable AC power supplies, adopt advanced digital signal processing technology, with frequency up to 10-5000 Hz, built-in all-round power meter and large-screen oscilloscope function. Power up to 54 kVA and support master-slave parallel, which can provide high-capacity single-phase or three-phase AC output. 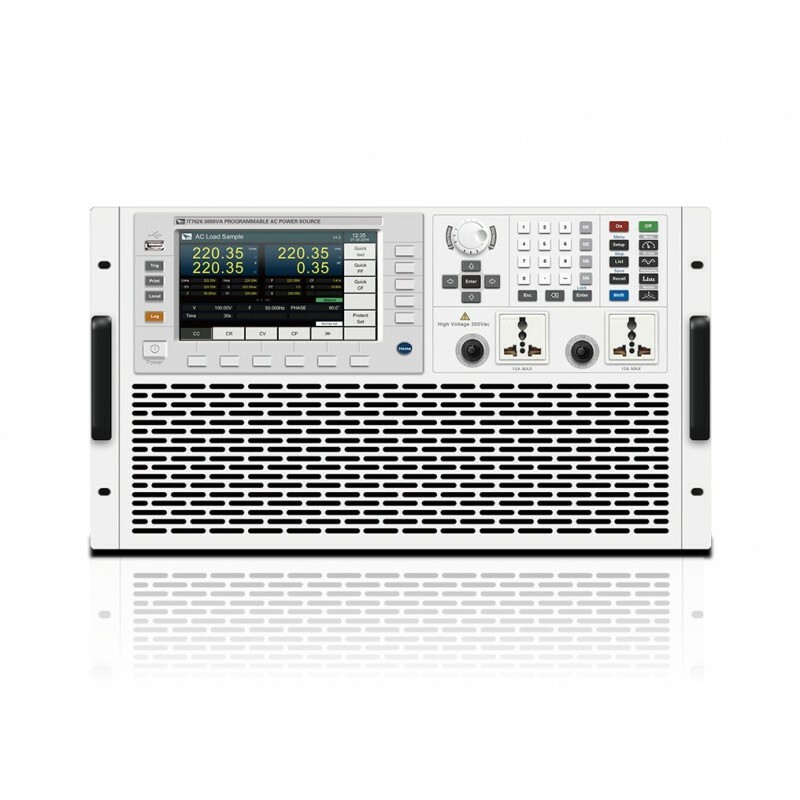 IT7600 has built-in arbitrary waveform generator to simulate the harmonic and a variety of arbitrary waveforms output; also has strong exchange measurement and analysis functions. IT7600 can be widely used in many areas, such as new energy, home appliances, power electronics, avionics, military, the development and application of IEC Standard test and so on. Strong harmonic analysis function, which can measure up to 50th voltage and current harmonic*3. *1 600 V / 1200 V coming soon, stay tuned! 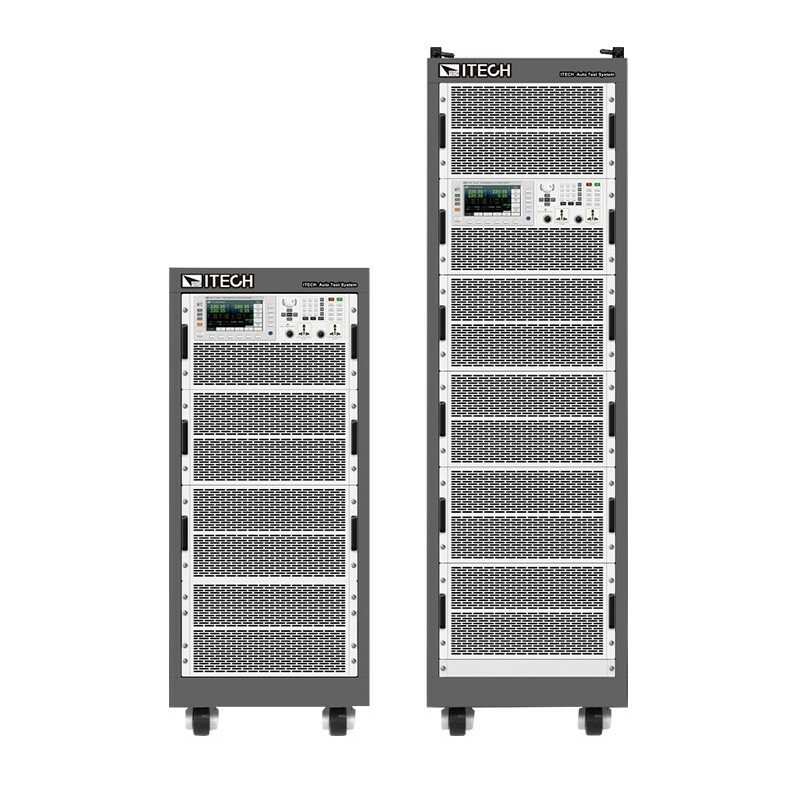 *2 IT7622 / 7624 / 7626 can parallel multiple units to achieve single / three-phase output. 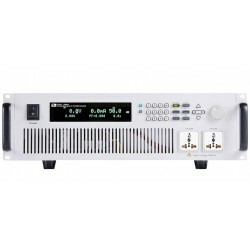 IT7627 / 7628 can achieve single / three-phase switching output.